Home>New Songs>Mitchelle'l Songs> Mitchelle'l - Spillin' Drank (Remix) Feat. T.I. & Big K.R.I.T. Mitchelle'l is yet another one of Grand Hustle's secret weapons, honing a unique singing voice that sounds perfectly at home on some warm, Houston-centric production. Reminiscent of Z-Ro or Big Moe if they saw themselves as technical singers first, Mitchelle'l keeps the spirit of the city alive with his impressive crooning. Joining him on the Texas-approved "Spillin' Drank" are GH head honcho T.I. as well as Pimp C fanclub president Big K.R.I.T. While providing necessary assists to getting Mitchelle'l's name out there, they are also a perfect fit for the classic southern production. This could be a big one. 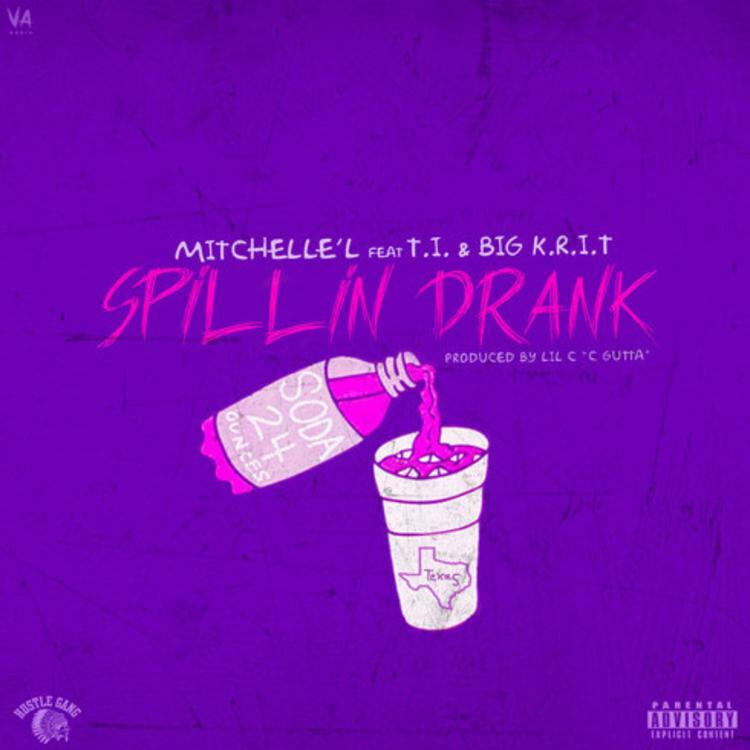 SONGS Mitchelle'l - Spillin' Drank (Remix) Feat. T.I. & Big K.R.I.T.